If you’re like me, you don’t even know what the parts inside a toilet are called. All you know is that it is taking all your strength to push that little handle that flushes the toilet. What’s up with that? 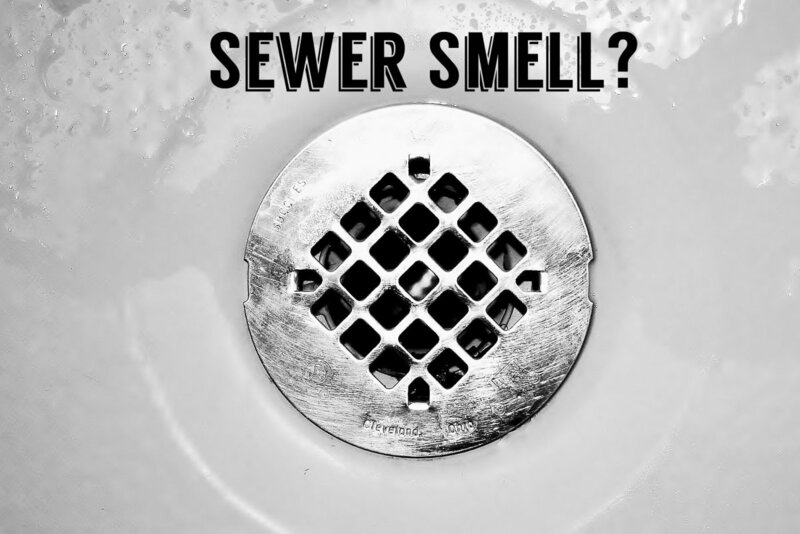 If your toilet has suddenly become really hard to flush and it feels like the plunger is “sticking” at the bottom, then chances are the flush valve seal needs to be replaced. What Is the Flush Valve Seal? 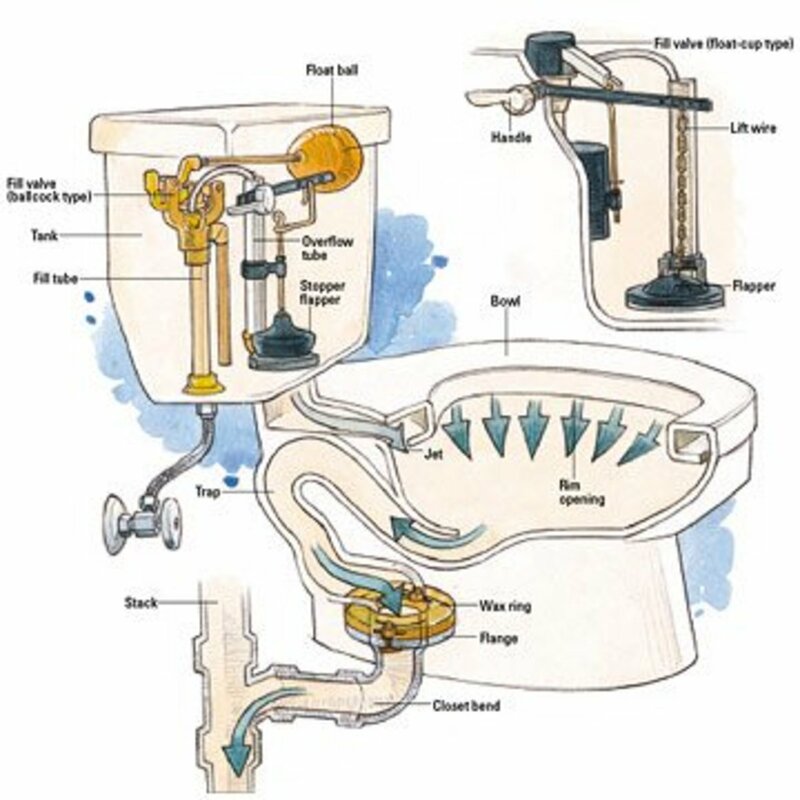 The flush valve is the contraption that controls how much water flows from the tank into the toilet bowl. Sometimes it looks like a flapper with a chain coming out of the top. Sometimes (as in Mansfield toilets) the flush valve looks like a tower that lifts up to let the water flow or settles down to stop it. 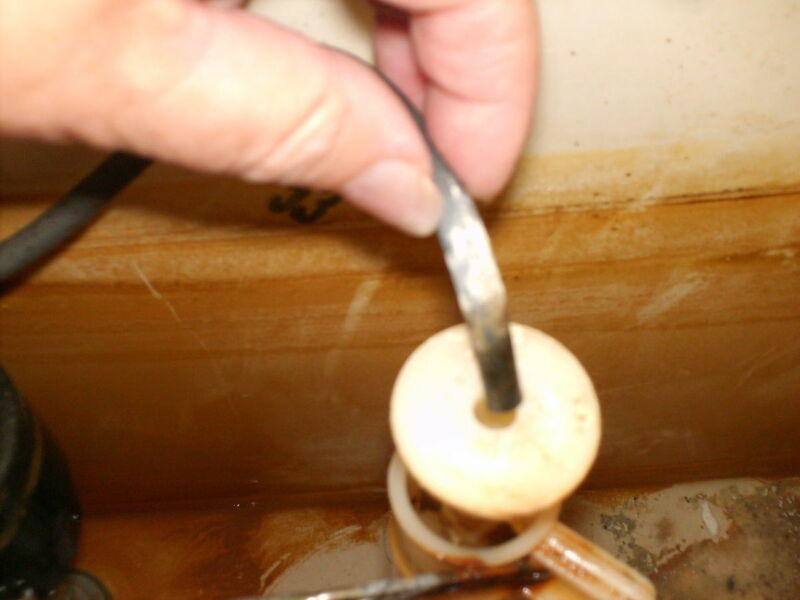 The seal on the flush valve is a rubber ring, and over time it can deteriorate. When it does, it gets harder to break the suction and let the water flow through the valve. 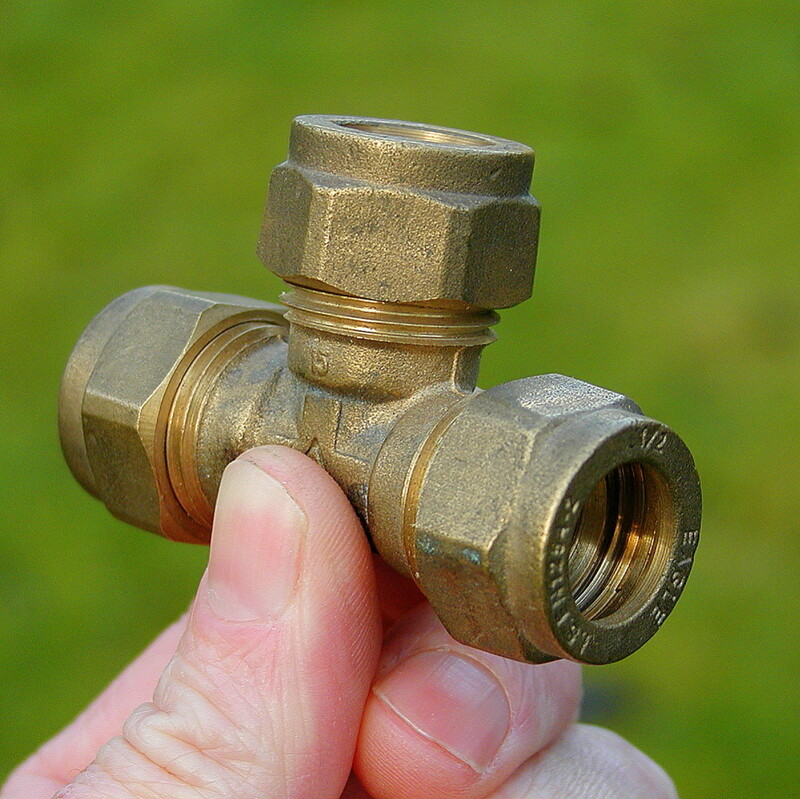 Flush valve seals are usually available at hardware or home improvement stores. Make sure you know who manufactured your toilet before heading out to the store to buy a new one. 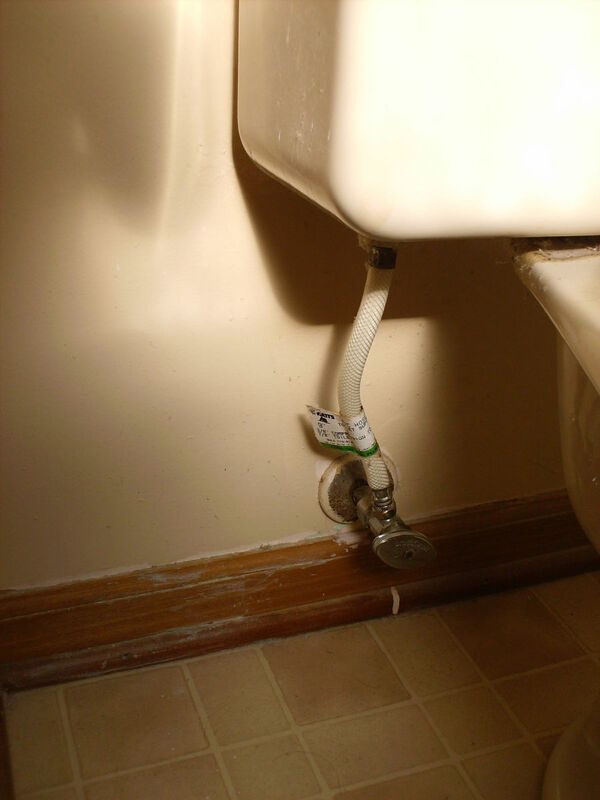 Note: If you’re picky about the way your hands look, make sure to put on a pair of latex or close-fitting rubber gloves before starting your toilet repair. 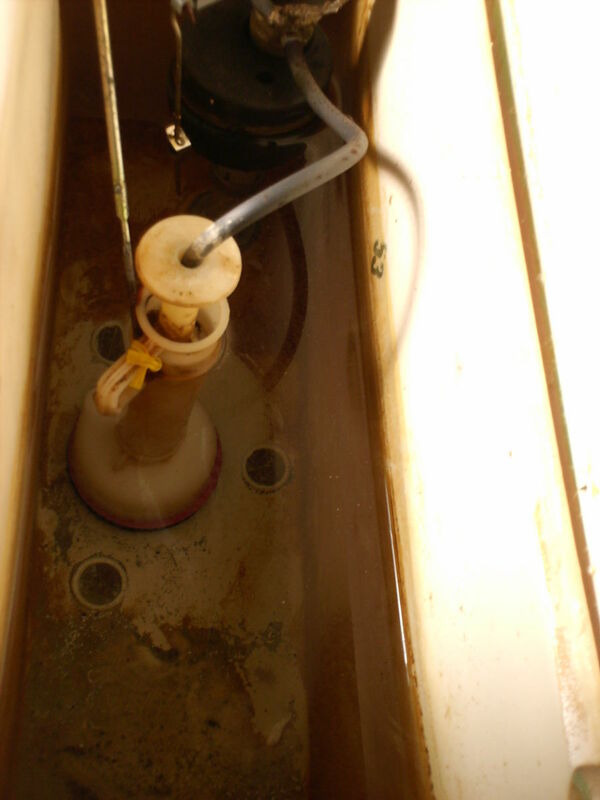 The water in the tank is clean, so there’s really nothing nasty about this repair. But if the deteriorated seal was black, sometimes your fingers can get smudged with an inky residue. 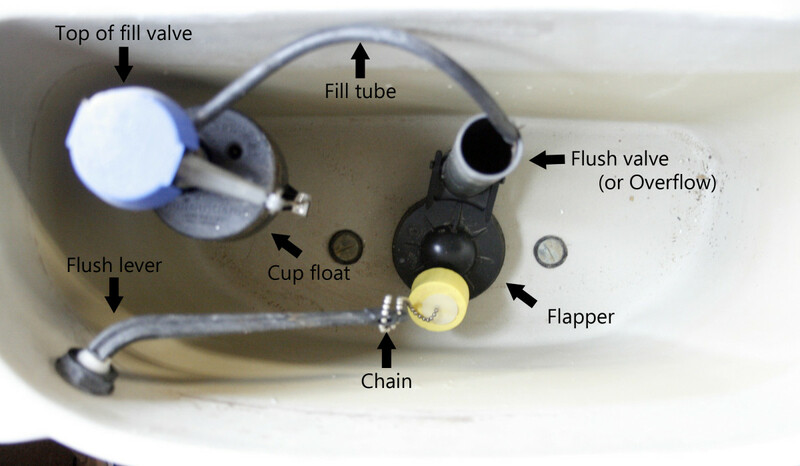 In order to replace the flush valve seal on a Mansfield toilet, all you need to do is follow these simple directions. This is the water shutoff valve. Turn it clockwise to shut off water to tank. Turn off the toilet water supply behind the toilet where the pipes run into the wall. Flush the toilet so the water empties out. 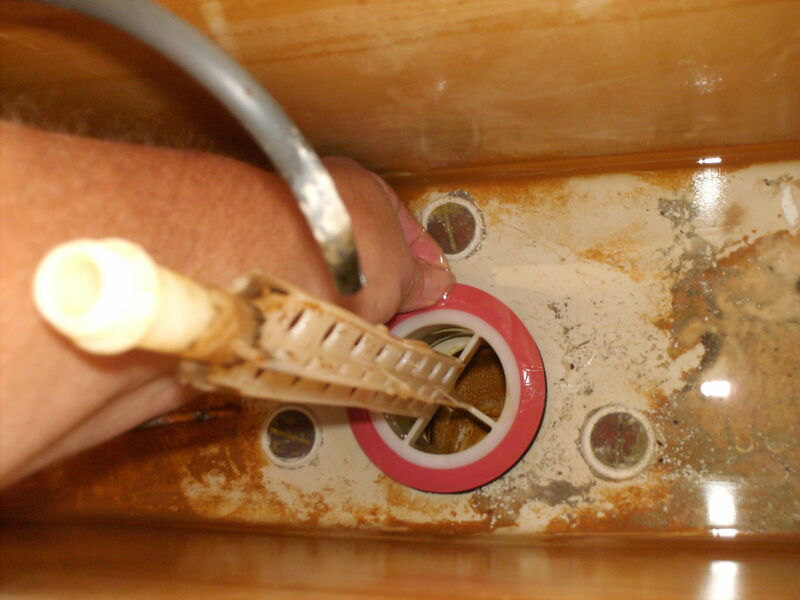 Pull the refill tube out of the top of the flush valve assembly. Disconnect the water refill tube. This is a little bendy tube that goes into the top of the whole tower assembly. Just pull it out gently. Unscrew the cap that the refill tube goes into. It looks like a little flat donut, and it’s wider than the flush valve tower. Lift off flush valve tower. 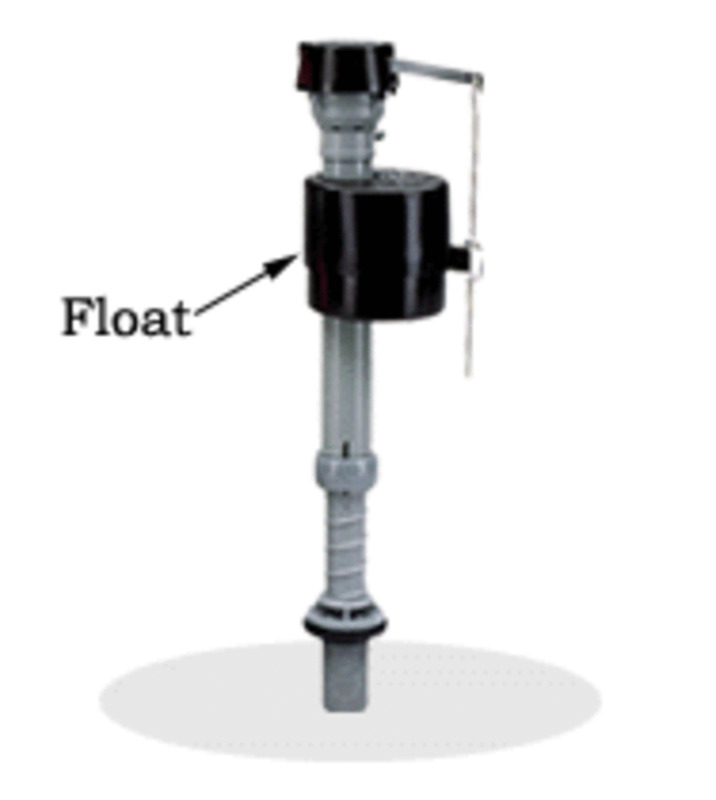 Simply lift off the flush valve tower as shown in the picture above. That red rubber ring is the flush valve seal. Remove it and replace with a new one. Put new seal into space between top two grooves. When it’s fitted in properly, you can gently turn it. Slide the tower back on, screw on the cap, slide the refill tube back in place, turn on the water again, and you're done! Now that you have the new seal on, all you have to do is put everything back together. Slide the tower back on, screw on the cap, slide the refill tube back in place, and turn on the water again. You're done! What size ring do I purchase for my Mansfield toilet? It depends on the model of the toilet's flushing assembly. I only found one size rubber replacement ring that was designed for a Mansfield toilet. I believe it's called a Mansfield Flush Valve Seal. If you're finding more than one option, the easiest way to be sure that you have the right one is to remove the old one and take it with you to the store. What do you do if the tower doesn't seal on a new seal washer? 2. Inspect the tower assembly to make sure it's not broken or otherwise damaged so it won't seal to the new flush valve seal. Replace that if necessary. 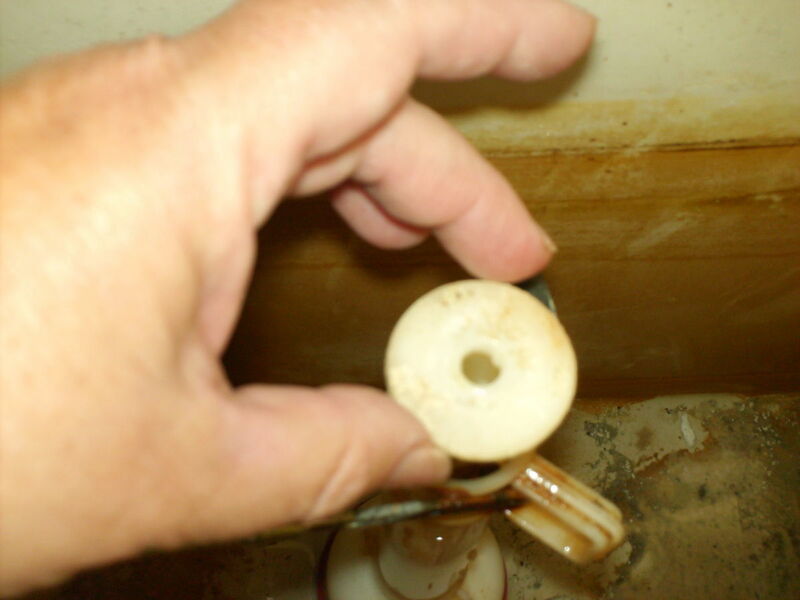 If neither of those procedures work, then it's probably time to call in a professional, because the problem may not be a simple matter of replacing the rubber flush valve seal. I did that. Still hard to flush. Thank you! Just the info I was looking for. Perfect! These instructions are exactly what I needed! I suffered forever with the hard to flush handle and literally it took 4 minutes to replace and couldn't have been easier. At the hardware/plumbing store (I found the part at Lowe's), the Flush Valve Seal package will be light blue and the seal is red; the package will say 2" For Mansfield #210. ITEM #247876. UPC is 4622404895. It only cost $2. Made by the Keeney Manufacturing Co. One tip: The bottom of the tower may have some rubber gunk on it which transferred from the deteriorating seal, so take some toilet paper and clean off the gunk to ensure you get a nice tight seal. Oh, and if you have more than one Mansfield toilet, you might as well replace all of the seals at the same time while the process is fresh in your mind. All 3 of my toilets' seals were starting to go bad and make the toilet hard to flush. Just tried this yesterday and I worked perfect, thank you for the clear instructions with pictures! 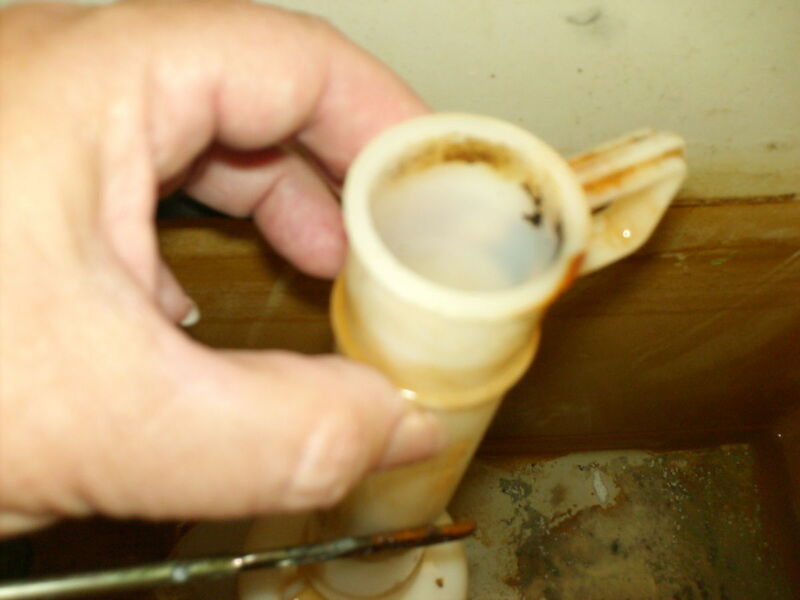 short fix: Remove the "tower", coat seal with axle grease, replace tower, Good until you can get to a new seal.Side bar: these are the bottom to the line in water closets. Convoluted discharge path & small diameter discharge. I would suggest owners of these water closets have stoppage issues also. 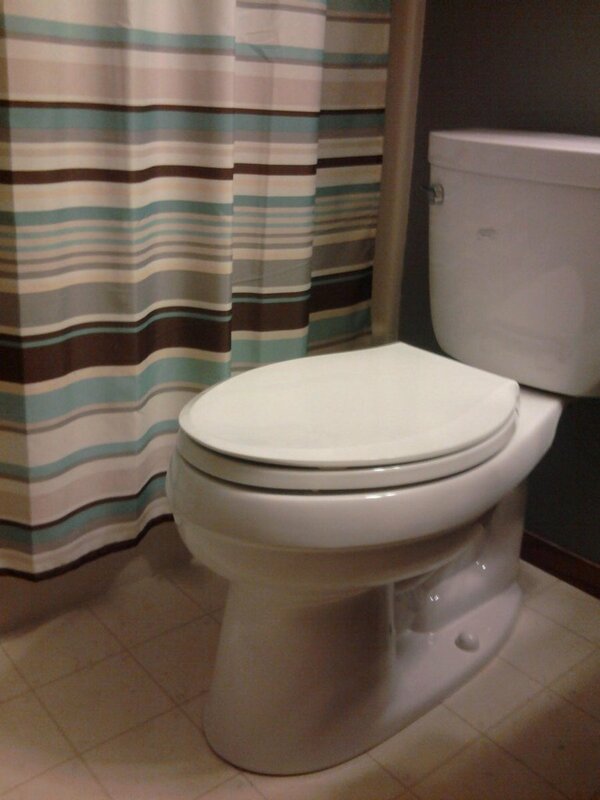 If you choose to replace, use an American Standard or Kohler elongated toilet. You will not be sorry. Bless you! I am a woman who now feels grrrreat! i am out of words to thank you! The steps are so simple. You saved me a lot of time and money. Thanks again for your big heartedness! I can not believe I have put up with this problem for years. awesome article.... solved my problem.!!! Here's a tip to save some cash and/or a trip to the Home Depot. Take out the tower as described. Rather than removing the seal, just use ~120 grit sand paper to lightly sand the bottom of the tower, along the edge where it connects to the seal. Not sure how long this lasts, but it fixed mine just now. If the seal is too tight, making the plastic slightly skinnier seems like an easier fix than a replacement. I used the red ones on two toilets, and it's been almost two years ago, and they're still working fine for me. One of them is for a guest bedroom bath, so that wouldn't make a good example since it's not used that much. But the other is in the main bath and is used daily, and it's good, too. Anyway, that's been my experience, but the off brands may have more than one manufacturer. Maybe I just got a good one! You can see my prior comment under Nita8 above. Use only original Mansfield black seal. 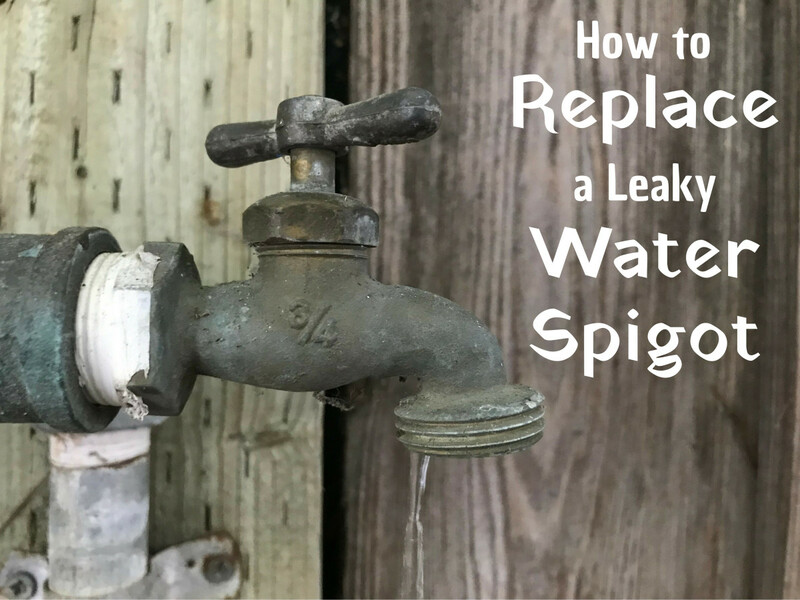 If you use an off brand or the red ones, it will leak again in 3 months. I go to Ace Hardware and get the factory correct seals. Just did this with your step by step instructions at my side --thanks sooooo much!!! Thank you so much for this! After breaking two flush levers from a very hard to flush toilet this seems to have fixed the problem. The pictures were a great help too! It was so easy and fast. thanks a lot for your detailed instructions! step #6 regarding how it should be fitted is the key. i appreciate your help very much! I had a similar problem and was pulling my hair out as I couldn't fix it. 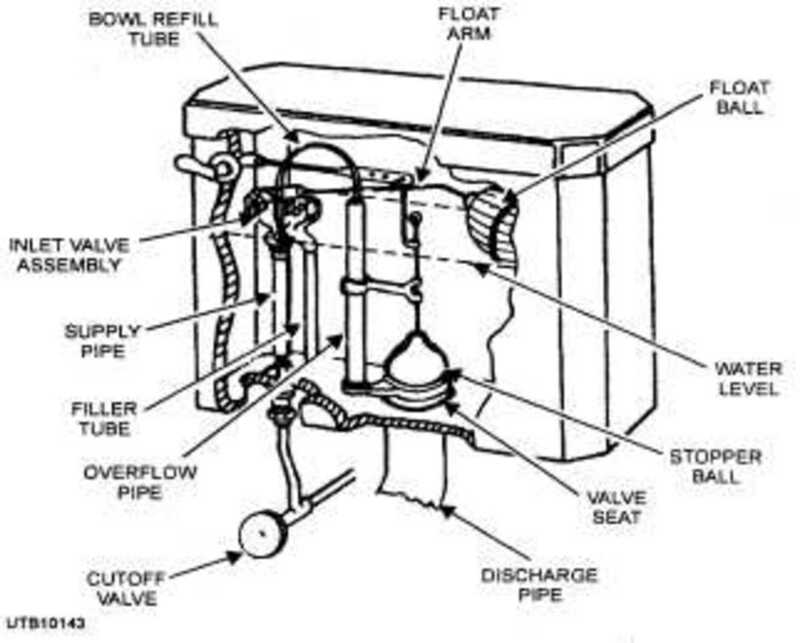 I then found this (http://www.toiletrepair.ca) which pointed me towards the float valve. Mine was damaged in the same fashion as what that site depicted. I followed the directions and bam - my toilet was repaired. It's always a bummer when you can't figure out why your toilet isn't flushing. We've been having that problem for a while now. Do you have any suggestions? My friend said to go here: http://www.aalertdrain.ca/en/, what do you think? This worked! Just replaced these on all of our Mansfield toilets and they are easy to flush again. Thanks for the article! The worst toilet money can buy. Even after changing the guts they don't flush great. They have a flat spot after the trap. Replace the toilet! My husband was zip-tying the handle to the tower as the suction was so intense it broke the original. Thanks for walking me through this! We have company coming and I didn't want a toilet that was difficult to flush. You have a gift for true step by step directions. Thank you, Saralee! thank you thank you thank you so much!!!!!!!!! Thanks! You just fixed my two Mansfield toilets! We've almost broken the handles on both of them trying to flush. Now, we can use one finger. Thank goodness for people like you who are willing to take the time to write these articles. Photos were very helpful. 1. There are two types of Mansfield valve seals, the tower one here which is a red circle and a second one that is black and looks totally different. Didn't look at the picture closely and bought the wrong one assuming there was only one Mansfield seal. 2. A lot of black gunk filled the toilet reservoir while trying to get the old seal off. It's helpful to turn the water back on to clear it out as it totally obscured the bottom of the tank. Just make sure the refill tube is pointed in the tank. Thanks for the info Saralee. Had the same problem. Thanks also Sanjay for your comments. Thank you so much for this tutorial! I have been looking for a solution for our hard to flush Mansfield toilet. Now I can finally fix it! I had same issue which was fixed after following your instructions,however there were some issues like water leaking in the bowl (inside) so tank keeps filling up sound keeps coming up. Issue was fixed with seal put in top groove and rotate to see it is moving. There was a black ring from where the color was coming,that should not be removed, only red color seal which sits on top of black seal. Here is another video which was very helpful. Wow! Thank you so much for the info.& step by step instructions (& pics)! That is my exact toilet and until now have had a hard time finding the answer to that pesky flushing question in my head! My lever broke and after relpacing is still hard to flush and now I know why and how to fix it! Mucho thanks! Great article! I know a lot more about the inside of my toilet tank now than I did before. Thanks for this excellent guide. I loved all of your original photos and the topic is great for those that have that type of toilet! Welcome to HubPages. You are off to a fantastic start with only 2 Hubs. Wow!